This Thursday at 6pm CST I will be speaking at the Austin PowerShell User Group. I won’t actually be there (I wish I was there) but instead will be doing this remotely from my house. 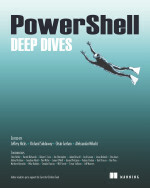 My topic will be on PowerShell runspaces which happens to be one of my favorite things to talk about. This was supposed to have happened last month but I ended up being pretty sick and had to reschedule. This week I am feeling great and looking forward to sharing my knowledge on PowerShell and runspaces! This entry was posted in powershell and tagged Austin PowerShell User Group, Powershell, runspace, Speaker, user group. Bookmark the permalink.